The latest special from Donegal’s Kinnegar Brewery is a Coffee Stout dubbed Cup and Saucer. This continues their tradition of naming their beers after local places of interest. Rick told me it’s named after a road junction outside Ramelton! Eons ago there was a chap who liked topiary and he created a landmark. Now if you go to Ramelton you’ll find a more solid cup and saucer sculpture. Beer always tastes better when it comes with a story. The stout is brewed with a cold infusion of Ethiopian coffee beans. The combination of coffee and rich malt gives it the flavour of a mocha. It’s delicious and very easy to drink despite it’s 6.3%. The best place to drink this beer would be the Tap Room at the rather lovely Rathmullan House which is just a stones throw from the brewery but if you can’t make the trip to Donegal just at the moment it’s available from McHughs.ie and drinkstore.ie it’s a limited edition so get it while you can. Sláinte ! Simon Broderick aka Simon Says… You Really Should Drink This! Simon started his blog in September 2013. Since then he has built up a large audience of readers. He can also be found on Twitter. 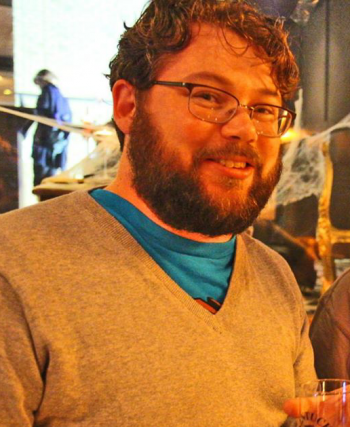 A passionate Advocate for Great beer, he set up the Athlone Beer Club in January 2014 and this has proven very popular with publicans and members alike in the Midlands. The future? Ireland’s second craft beer book perhaps! And a lot of beers.